It's not wise to make any huge purchases or move your money around three to six months before buying a new home. You don't want to take any big chances with your credit profile. Lenders need to see that you're reliable and they want a complete paper trail so that they can get you the best loan possible. If you open new credit cards, amass too much debt or buy a lot of big-ticket items, you're going to have a hard time getting a loan. Keep in mind that in this economy, the lenders are looking at your accounts the day before closing and that can change your rates and approval. There's a big difference between a buyer being pre-qualified and a buyer who has a pre-approved mortgage. Anybody can get pre-qualified for a loan. Getting pre-approved means a lender has looked at all of your financial information and they've let you know how much you can afford and how much they will lend you. Being pre-approved will save you a lot of time and energy so you are not running around looking at houses you can't afford. It also gives you the opportunity to shop around for the best deal and the best interest rates. Do your research: Learn about junk fees, processing fees or points and make sure there aren't any hidden costs in the loan. We have several local lenders that are more than willing to provide pre-approval letters and help you with a quick look at your credit score for free. It's absolutely essential to get a survey done on your property so you know exactly what you're buying. Knowing precisely where your property lines are may save you from a potential dispute with your neighbors. Also, your property tax is likely based on how much property you have, so it is best to have an accurate map drawn up. Make the request for a survey part of your offer and have the seller provide. Don't obsess with trying to time the market and figure out when is the best time to buy. Trying to anticipate the housing market is impossible. The best time to buy is when you find your perfect house and you can afford it. Real estate is cyclical, it goes up and it goes down and it goes back up again. So, if you try to wait for the perfect time, you're probably going to miss out. Everyone's drawn to the biggest, most beautiful house on the block. But bigger is usually not better when it comes to houses. There's an old adage in real estate that says don't buy the biggest, best house on the block. The largest house only appeals to a very small audience and you never want to limit potential buyers when you go to re-sell. Your home is only going to go up in value as much as the other houses around you. If you pay $500,000 for a home and your neighbors pay $250,000 to $300,000, your appreciation is going to be limited. Sometimes it is best to is buy the worst house on the block, because the worst house per square foot always trades for more than the biggest house. During these times when we have so many foreclosures, be careful. Your home may be the beautiful $400,000 home, but if your neighbor's house is now in foreclosure and is selling for $225,000 that will hurt your ability to sell until they are off the market. The difference between renting and home ownership is the sleeper costs. Most people just focus on their mortgage payment, but they also need to be aware of the other expenses such as property taxes, utilities and homeowner-association dues. New homeowners also need to be prepared to pay for repairs, maintenance and potential property-tax increases. Make sure you budget for sleeper costs so you'll be covered and won't risk losing your house. Buying a house based on emotions is just going to break your heart. If you fall in love with something, you might end up making some pretty bad financial decisions. There's a big difference between your emotions and your instincts. Going with your instincts means that you recognize that you're getting a great house for a good value. Going with your emotions is being obsessed with the paint color or the backyard. It's an investment, so stay calm and be wise. Would you buy a car without checking under the hood? Of course you wouldn't. Hire a home inspector. It'll cost about $350 but could end up saving you thousands. A home inspector's sole responsibility is to provide you with information so that you can make a decision as to whether or not to buy. It's really the only way to get an unbiased third-party opinion. If the inspector does find any issues with the home, you can use it as a bargaining tool for lowering the price of the home. It's better to spend the money up front on an inspector than to find out later you have to spend a fortune. 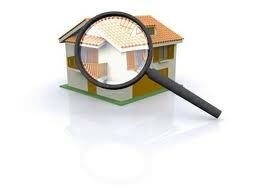 We recommend every client get a home inspection. Usually that runs about $350 worst case. A termite inspection costs about $80 and is well worth the money. Don't get surprised. Your opening bid should be based on two things: what you can afford (because you don't want to outbid yourself), and what you really believe the property is worth. Make your opening bid something that's fair and reasonable and isn't going to totally offend the seller. A lot of people think they should go lower the first time they make a bid. It all depends on what the market is doing at the time. You need to look at what other homes have gone for in that neighborhood and you want to get an average price per square foot. Sizing up a house on a price-per-square-foot basis is a great equalizer. Before you buy, get the lay of the land – drop by morning noon and night. Many homebuyers have become completely distraught because they thought they found the perfect home, only to find out the neighborhood wasn't for them. Drive by the house at all hours of the day to see what's happening in the neighborhood. Do your regular commute from the house to make sure it is something you can deal with on a daily basis. Find out how far it is to the nearest grocery store and other services.